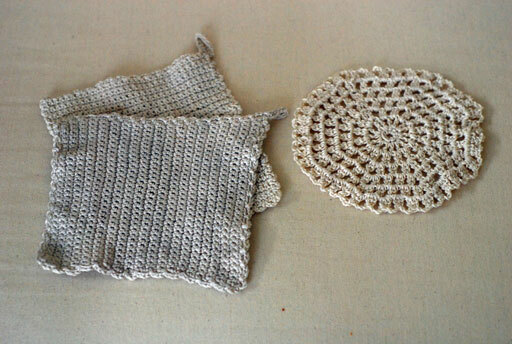 When we came back from honeymoon, I didn’t feel like making anything too complicated so I crocheted some dishcloths and a tea-pot mat. I used the cotton I got on our holidays last summer in Delft, Belgium. On one hand, I regret not getting more, but on the other, one skein really went a long way and I still have about half left over. The pattern for the mat is very easy, it’s from the Japanese book Lacy Crochet. It’s blue-faced leicester and called ‘No guts, no glory’. Great name, yes? 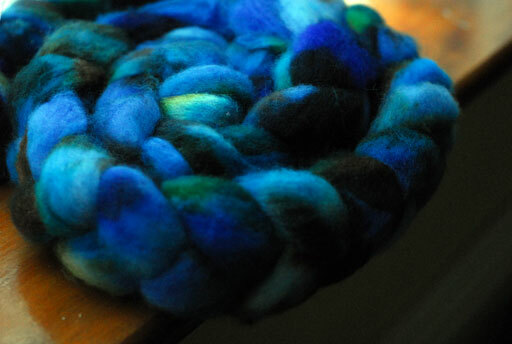 Check out her shop, I’m a big fan of her fibre. Can’t wait to start spinning this stuff up. 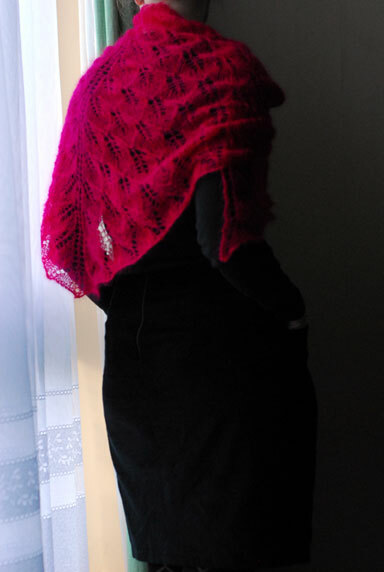 Last wee thing is a few modelled shots of my Kiri shawl. The room where I teach is sometimes a little drafty and involves a lot of sitting, so this is how I wear it. I didn’t actually know what it looked like from behind until I took this! I like it! I had hoped to take and show pictures of this skirt over the weekend, but the weather was dreadful and it was far too dark to do so. We had very bad localised flooding in Dublin yesterday (it took me nearly three hours to get home from work) but today, the sun is out! 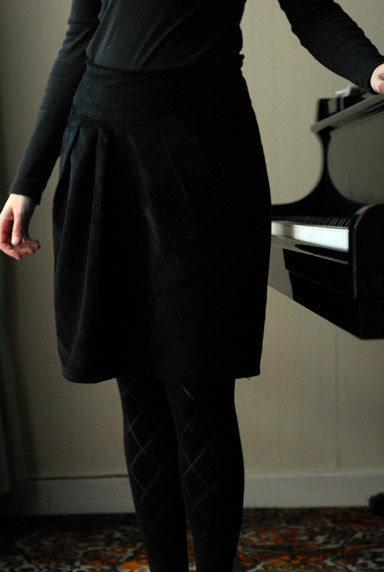 No better time to take photos of a black skirt. The pattern I used is the Proper Attire Skirt by Anna Maria Horner. I made View A. I bought 1.5m of 150cm wide black cord and used probably about a metre, including having to cut out two extra pocket pieces because I made some mistakes. I didn’t line it because the wrong side of the fabric is quite smooth. I used the same fabric to face the yoke , turned in a small hem and tacked it down by hand. It worked out really nicely and you can’t see my stitching from the front at all. 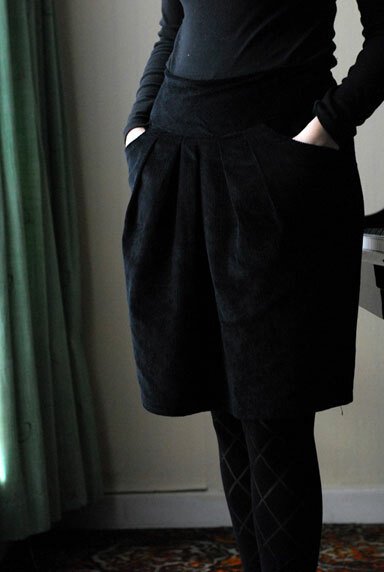 I’d made a pleated skirt before so that wasn’t tricky at all. Where I had the most problems was with the pockets. The instructions for the front pocket piece were odd. You cut out three pieces: the back pocket piece, which you can see in the picture there, the front pocket piece, and facing for the front pocket piece. The instructions have you sew the facing onto the pocket piece, wrong side to right side, so you’re left with a raw edge on the facing in the pocket. Then you cut away part of the pocket piece that’s behind the facing, and that’s what you sew into the skirt. It seemed to me to be a bad way of avoiding sewing a very curved seam. 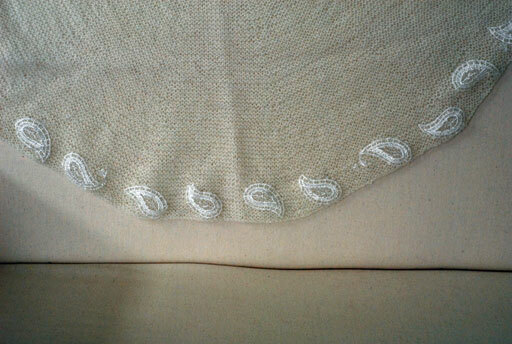 What I did was, I sewed it as instructed and cut the curve behind the facing. Then I unpicked my stitches, turned right side to right side, and machined it so that there was no raw edge exposed. It was tricky because it was very curved and the cord has a heavy nap, but it worked out great. The other issue I had was with the darts in the back – this one is all on me. I suppose this is where making a muslin first would have paid off. It wouldn’t have mattered so much except that the skirt is very fitted across the back. I spent a long time tweaking them. They’re still not perfect but it was the best I could do at the time. All in all, though, it is a clear, straight-forward pattern and apart from the pocket thing, the instructions were excellent. I paid €18.75 for the material and have a useable amount left over, so that’s pretty good going. A few catch-up knits. And a skirt. 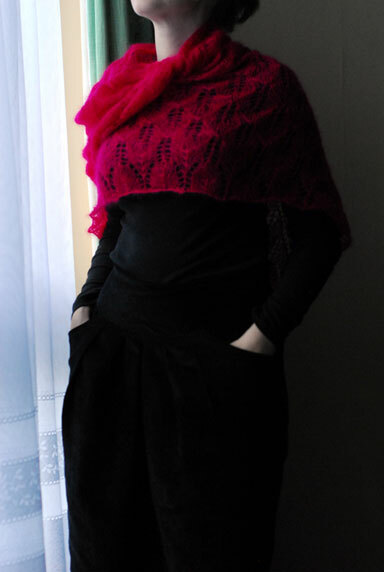 Here’s my finished Kiri shawl (link opens pdf). 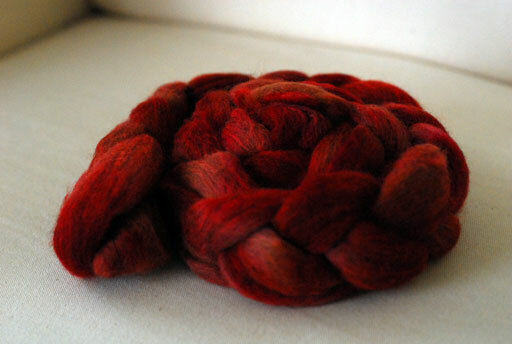 I used 2.5 balls of Rowan Kidsilk Haze and 4.5mm needles. It’s humongous but the details are pretty. I could have gone for one extra repeat at the end but I didn’t want to risk running out of wool and have to rip it all out. The pattern is wonderfully easy to remember, so the project soon took on an interesting-but-not-too-hard aspect that I’m sure helped its speedy completion. It’s getting a lot of wear these days, thanks to the ten degree drop we’ve had this week. Brrr! Another shawl I completed ages ago but never posted was my wedding shawl. Ravelry tells me (as I have no recollection of this at all) that I started it on July 29th and finished it on August 14th. 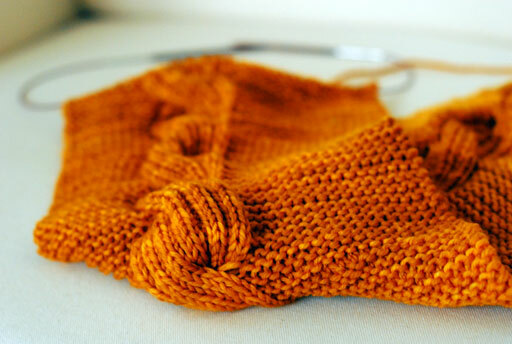 I used Malabrigo Lace, 3.75mm needles and this simple pattern from Garnstudio. I left out the feather and fan pattern at the end, and so ended up with a simple semi-circular garter stitch shawl. In hindsight, it was the best choice. Not only did I not have the brain power to knit anything more complicated than that, but my dress was quite textured and the garter stitch was well-balanced with it. The dressmaker used a beautiful paisley lace for the underskirt of the dress. She cut out some extra paisleys – she was going to applique them onto the skirt but didn’t have time. She gave them to me and I appliqued them onto the shawl instead. I think it worked quite well. It was actually very easy to do. Here is a good picture of the dress and here is a picture of the shawl from behind. See all that pleating on the bodice of the dress? The dressmaker did it all by hand. She is quite the artist, it was an amazing experience to have her make my dress. 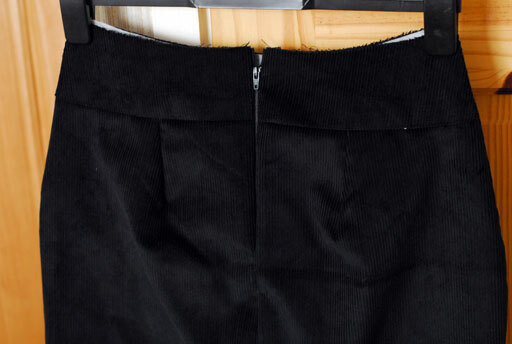 Speaking of sewing, I have been working steadily on a black cord skirt. I’m nearly finished. I have yet to put in the yoke facings and do the hem. Here’s the front. I am fairly proud of how my zip turned out. I think I get it now. 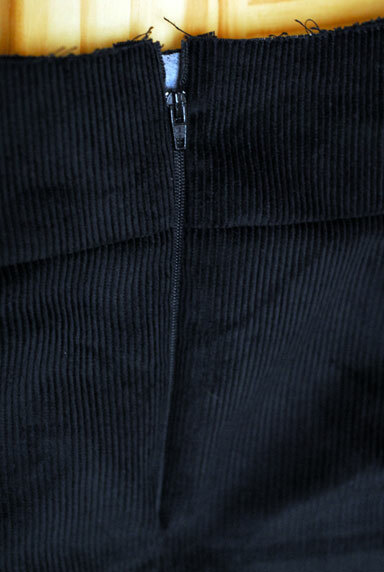 Noone really explained to me that the very centre of the zip – where the coils meet – needs to be exactly where the seamline would be. I thought about it for a while. I sewed the zip in by hand, re-measured my seam-allowance and adjusted slightly, and then just sewed it in. When I finish it off, I’ll write more about it in detail. I had issues with the pocket instructions and found sewing with a distinct napped fabric interesting also. I have been knitting, I swear! In fact, I’ve been getting back to my once-usual regular amount. Not having a million rehearsals and college stuff to prepare all the time definitely helps. 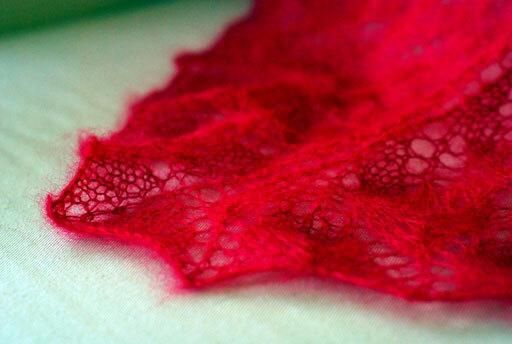 I have already knit and finished a hot pink lace shawl, which is blocking as I type. I’ll show it as soon as it’s dry – hopefully tomorrow. 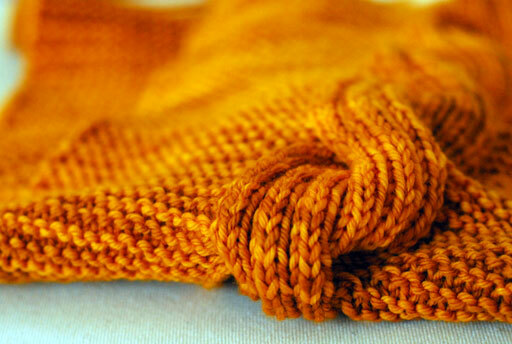 In the meantime, I couldn’t keep my woolly mitts off the Malabrigo Rios that This is Knit got in recently. A little Ravelry searching and I figured I had enough for Millwater (rav link), a reversible garter, cabled moebius cowl. 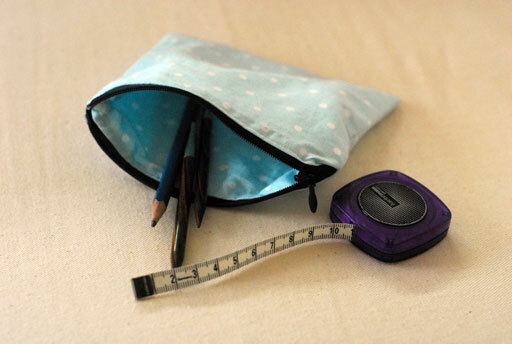 The pattern is really easy to memorise so it is perfect knitting to stuff in your handbag. And the Rios… swoon! Such a textured knit really shows off what it’s capable of. The same day I got the tartan wool for my skirt, I picked up some black cord for a Proper Attire skirt. Personally, the fabric choices in the pattern are too nuts for my daily life. 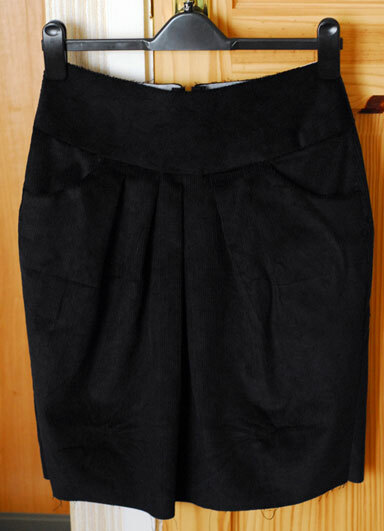 I also have a black cord skirt that I got a few years ago in H&M in Barcelona. I love it dearly but it has seen better days. I love it because I can cycle in it, it’s got decent, comfortable pockets, and it’s the kind of skirt you can dress up or down depending on what you put with it. I haven’t seen anything remotely similar to it since I bought it. I like the shape of this pattern and the fabric was about €13 I think for 1.5m. The only thing is… it’s got a zip. I’m not very good with zips because I haven’t had much practice with them. I had a zipper foot on my old machine but when I screwed it on, it was crooked. When I loosened it so that it was straight, it would fall off. So I didn’t have a very good beginner’s experience sewing zips. You may recall that my aunt (who gave me the machine in the table) was in possession of a particular box of tricks. She gave it to me before she went home after the wedding. There are two zipper feet – one normal one and one for invisible zips; a blind hem guide; something else that the booklet tells me is for piping; and a special plate for doing darning and buttonholes. I figured I should really try out the zipper foot on a small project just to get the hang of it. 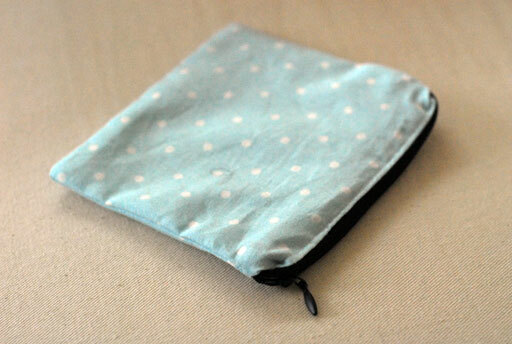 I decided on the zippered pouch pattern from 1, 2, 3, Sew!. I spent a lot of time fiddling around but it was really straightforward. It’s not perfect but I’d like to try more. I used an invisible zipper because it was the shortest one I had and I used maybe a third of a fat quarter. Again, another fat quarter that I adored but couldn’t find anything to sew with such a small amount. I love little bags for things so this is the best use, I think. 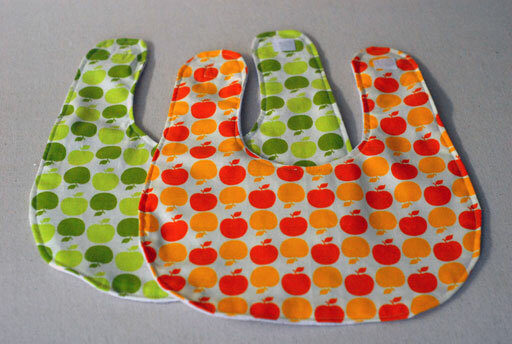 About the book – I used it for the bib and burp cloths that I showed yesterday too. It’s a nice concept: every chapter has three projects based around a technique. The techniques get progressively more difficult as you progress through the book. 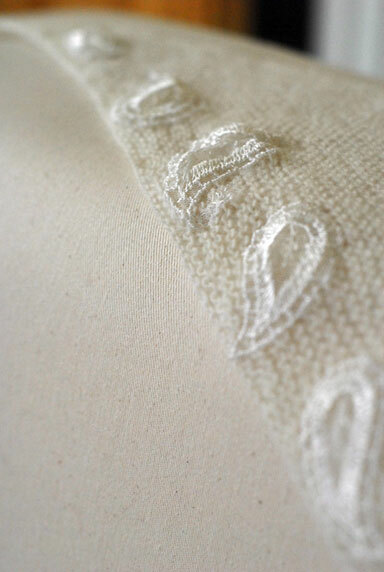 The projects at the start are mostly just two pieces sewn together whereas those towards the end are more complicated. The chapters, in my opinion, are well-chosen, and I don’t get the impression of ‘filler’ chapters at all. I like how the projects are easy enough to complete in one or two afternoons but challenging enough that you can learn something out of each one. I resisted buying it initially because, really, I only wanted to make the mouse pincushion from it. But I looked through it on a number of occasions and was drawn to the simple usefulness of each project. It’s been a heck of a month. We took an 18-hour bus trip to Buenos Aires and there… well, we didn’t do a huge amount. We did some sight-seeing and tried (but failed) to do some shopping. Mostly, we lounged around and ate our way through Palermo and San Telmo. The highlight was definitely taking a tango dance lesson which was followed by an excellent tango show. I got picked out of the crowd, along with some other unsuspecting members, to dance with the people in the show – it was amazing. I didn’t trip over myself or fall down or anything. I think I neglected to mention this but I managed to finish and submit a thesis for my masters while we were travelling. It wasn’t very good, but I passed and I graduate at the end of the month. Phew! It’s taken us a while to get settled back in at home. I’ve started a few new teaching jobs and have lots of new students. One of my jobs this term is filling in for a friend’s maternity leave. She just had twins! We played lots of duets together last year and had so much fun. Naturally, I really wanted to make her something for the babies. I made two burp cloths using some fabric I had left over from something else and some flannel pyjamas that I don’t think I ever wore because they were miles too big for me. And I made two bibs using two fat quarters and more of the same flannel. I love the fat quarters but I always ended up passing over them because the colours are quite bright. The bibs fasten with velcro on the back. The other project I finished up this week is a tartan skirt. I found the material in Murphy Sheehy’s and figured it would make a great exercise for matching up the pattern. Let me just say that it was just as well I bought 1.5m and just not 1m. The skirt pattern I used was the same bias skirt pattern I used for this. I managed to cut out my back piece half a pattern repeat off. Sigh! I found using the first piece as my template to cut the second piece very useful for matching up the lines. I sewed it together by hand, which was just as well, because it needed some tweaking. When I was happy with it, I machined sewed it. Even though the pattern doesn’t say to, I decided to line the skirt because it’s wool and would stick to my tights and generally be annoying. So I made the lining the same but didn’t bother basting it first. There isn’t even facing at the waist, I just sewed the two together and then sewed a 6/8″ seam below the seam for the waist to make a casing for the elastic. Very high-tech. Given the quality of the fabric, I didn’t want to mar it by machining the hem. I pressed it, basted it by hand and then hemmed it by hand. It didn’t take very long at all and it meant that I had lots of control over the bias. I steamed out all my seams as best I could but I think it could be a bit better. It took me maybe about four hours altogether. 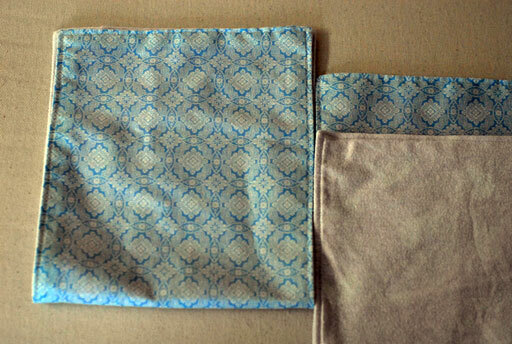 The other one I made had no lining, I didn’t even bother trying to match the pattern, and it only took me one hour. I think the extra time was worth it though. It’s really comfortable, has good movement without being too flared and was much cheaper than the shop (about €20 including the lining compared to about €60 I’ve seen for 100% wool skirts). I’ve been knitting away like nobody’s business because I now have some train commuting to do from time to time – that’s for the next post!